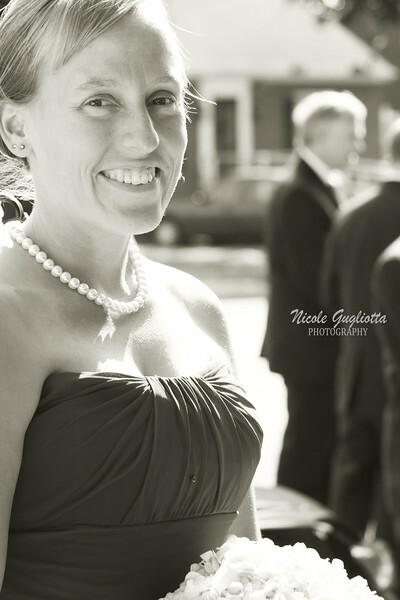 A bridesmaid flashes a smile for the camera while standing outside a church in the rolling hills of Maryland at an autumn wedding. The ladybug felt at home on this bridesmaid. It must have known she is an avid hiker.